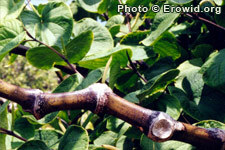 Kava is a tropical evergreen shrub with large heart-shaped leaves and woody stems. Its thick roots are mashed or ground and made into a cold beverage used similarly to alcohol. It has a long history of ritual and recreational use in Pacific Polynesia and is now a common herbal product. How much Kava extract should be used for full effects? Is it safe or effective to snort kava?